Actelion could give Johnson & Johnson hypertension. The Swiss drugmaker, a specialist in blood pressure drugs, is being courted by the U.S. baby-lotion maker, according to Bloomberg. Given Actelion’s high price – its market capitalisation hit $18.5 billion in early trading on Nov. 25 – J&J would need big cost cuts to make the deal work. Moreover, Actelion is fiercely independent, and faces mounting competition. The Swiss company fought off an attempt by Elliott Management to force it into a sale in 2011, and a reported bid by Shire last year. That has had reasonable results for shareholders: Elliott thought Actelion could fetch 70 Swiss francs a share, less than half its current value. Shire’s mooted approach, reported by the UK’s Sunday Times, would also have been below the current share price. J&J’s approach, which has not been confirmed, looks a little odd. Actelion makes drugs for pulmonary arterial hypertension, which can be disabling and shorten lives. There’s some overlap with the U.S. company’s pharmaceutical business, but it is a specialist area, meaning few synergies. The logic might just be that J&J needs to scoop up drugs to bolster a light pipeline, and Actelion’s drugs are growing quickly. Actelion is far from cheap, trading at 20 times forecast earnings, compared with a sector on about 13 times, according to Eikon. Assume J&J is forced to pay a 30-percent premium over a 150 Swiss francs a share undisturbed price. Then assume J&J can rip out 20 percent of Actelion’s operating expenses. That would imply a return on investment of 8.4 percent, below Actelion’s cost of capital, which is likely to be around 10 percent. The U.S. company might be able to make the numbers work. If it tears up Actelion’s research and development budget, the return on capital would stretch to a more acceptable 9.3 percent. J&J may also be looking for a home for its non-U.S. cash, Barclays analysts suggest, so there could be other indirect benefits for a buyer. Still, this is a risky bet. Actelion boss Jean-Paul Clozel may not want to sell, and demand a fat premium. And Actelion itself faces competition as its drugs and those of its rivals lose patent protection. A generic version of its flagship drug Tracleer is expected imminently. Letairis, the competitor to Actelion’s top-selling drug Opsumit, will lose exclusivity in 2018. J&J should avoid the tears. Johnson & Johnson, the U.S. pharmaceutical and consumer group, has approached Swiss drugmaker Actelion about a potential takeover, Bloomberg reported on Nov. 24. 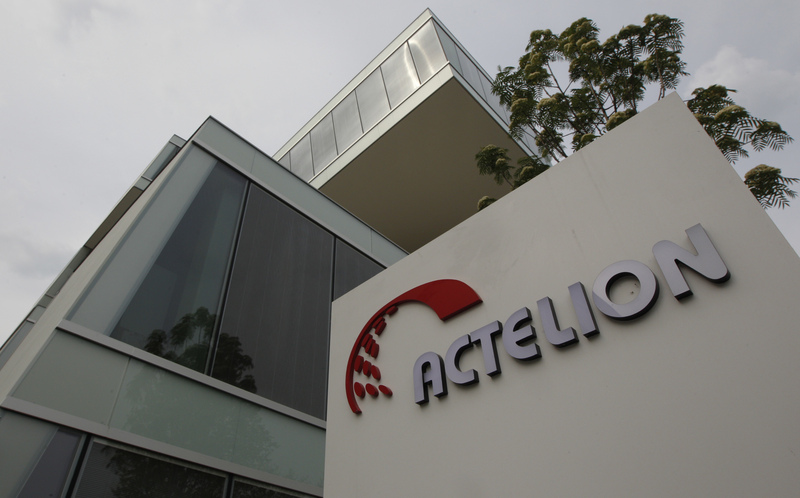 Actelion shares rose 9.56 percent by 0930 GMT on Nov. 25 to 173 Swiss francs.